Monaco comfortably dismissed a mediocre Arsenal side 3-1 courtsey of goals from Dimitar Berbatov, Geoffrey Kondogbia and Yannick Ferreira Carrasco in the Champions League Round of Sixteen. The home side opened proceedings in front of a raucous Emirates Stadium fuelled for Europe's mouth-watering tournament; the Champions League. Arsenal poured the pressure on early with attacks down each flank. Gibbs crossed in looking to find Welbeck; a clearance denying the Englishman of retrieving possession. Eventually, after the Gunners came back with another attack Welbeck earned a corner. Nothing came of it, but it emphasised the lively start made from Wenger's men. Toure scampered down the right for Monaco and whipped a diaganol ball accross to Martial who cushioned Elderson however his attempted cross over to a goal-poaching Berbatov was atrocious and the ball tumbled away. Wasted chance for the visitors to create something meaningful. Kondogbia smashed a promising delivery into the area which Berbatov cushioned down, held off Gibbs and for a moment looked like he would break through Arsenal's line of defenders but a flag raised for a foul on Wenger's young left-back. Moments later, in-form Cazorla scorched down the left to lift the spirits of the home fans after Monaco's brief momentum. The Spaniard picked out Ozil centrally who released the charging Bellerin into Subasic's area. Maybe too ambitious to put his side ahead, he slightly lost balance and resorted to nudging Elderson over and conceding a free-kick. Cazorla lofted a delivery into the area. It didn't initially seem threatning but a brief moment of madness provokes a raucous response from the home fans as Abdennour nudged it back to goalkeeper Subasic who flapped it out for a corner. Sanchez battered one in, but just as Giroud imminently looked to lash the ball at goal a charging Wallace thwarted the Frenchman with a crucial cleared header. The visitors silenced the Emirates Stadium just under 10 minutes prior to half-time. Moutinho initially scampered down the right flank and nudged the ball to Kondogbia who battered a ferocious strike which took a fairly big deflection off Mertesacker and flew straight past a stunned Ospina centrally into the net. 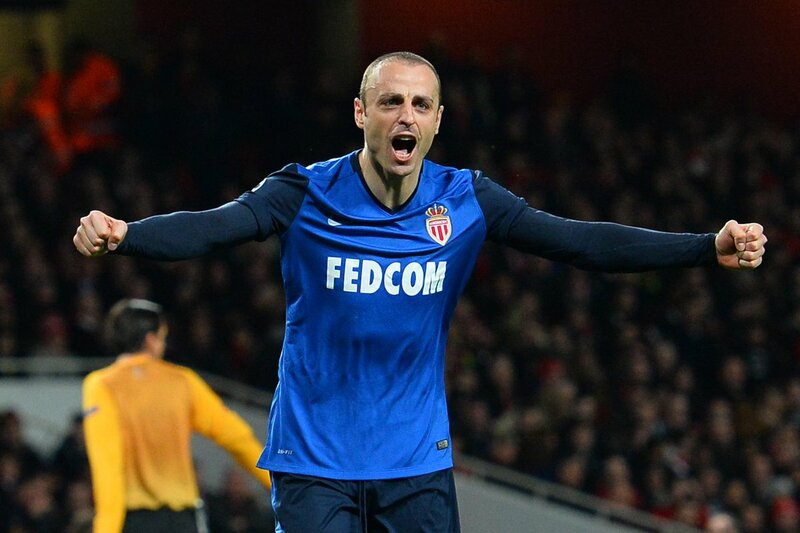 Sublime strike from the Monaco despite his assistance. Gibbs had been a visible presence down the left flank all night long and further emphasised that with a solid cross to Giroud but the Frenchman frustratingly dashed his header over the crossbar. Poor finishing. Deniz Aytekin concluded first half proceedings with Monaco deservedly holding a one goal lead. They were the team who created a bigger quantity of chances, had the best ones and just looked the all-round better, stronger side. Wenger would have been frustrated leading his men back into the dressing rooms. The Gunners were poor. Arsenal opened second half proceedings with a positive energy; further emphasised by Welbeck and Gibbs who linked together nicely down the left several times. A miscontrol eventually allowed Wallace to hoick the ball clear but Wenger's men really fancied a comeback in the second. Giroud's finishing had been poor all night long and the Frenchman missed yet another opportunity. Cazorla lifted a ball into the area, and while his rising was good the end product wasn't. The header frustratingly blootered over the crossbar. Arsenal were stunned yet again; this time by their old rival Dimitar Berbatov who returned to haunt them after his days at Man Utd and Tottenham. Martial robbed Mertesacker in the center and scorched through the Arsenal half until stabbing a ball through to Berbatov, who battered a strike straight past a helpless Ospina. Rosicky replaced Cazorla in an attempt to grab at least a goal back for Arsenal heading into the second leg. In stoppage time; a glimmer of hope resurged Arsenal as Oxlaide-Chamberlain curled a sublime strike into the top right hand corner. Nothing was going on at the time, the hosts were knocking the ball around the box but such a tight Monaco back line denied them. Up came Oxlaide-Chamberlain, who edged the ball past a guarding midfielder outside the area and lashed a brilliant effort into goal. However, just a few minutes following that Monaco nicked another goal to make it a mountain to climb for Arsenal away from home. Oxlaide-Chamberlain conceded the ball at the half-way line and Bernando Silva romped forward, slipped a pass through to Carrasco who slotted home past Ospina, post and in. Game over. Arsenal were poor, and it will take a hell of a performance to beat Monaco 3-0 away from home. Can they do it? 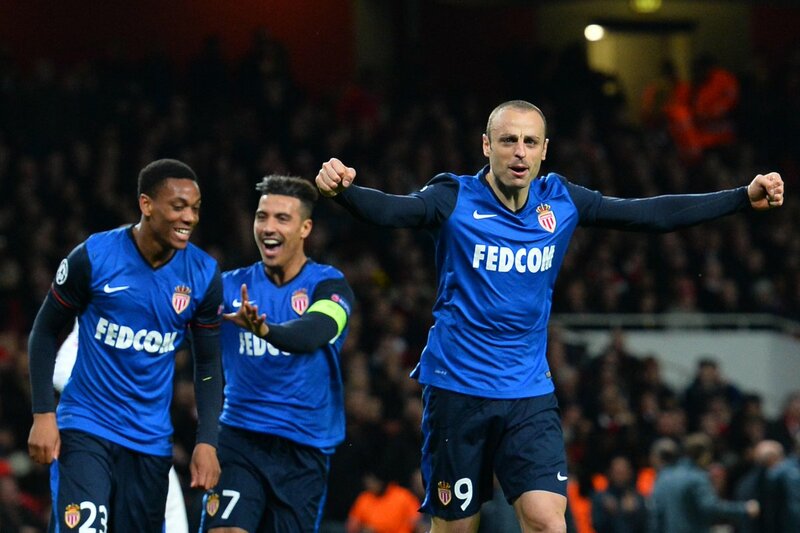 Monaco stun Arsenal in a triumphant 3-1 victory at the Emirates.